Luis Montano may be one of the most unlikely people to end up on the government’s no fly list that’s designed to stop terrorists. After all, he works for one of the country’s biggest airlines. But Team 6 Investigators found that he wasn’t just prevented from traveling by air, he was told by his employer to go home. He couldn’t work and the bills started piling up. After 13 years working for an American Airlines as a gate agent, also in cargo operations, and at its South Florida headquarters, the U.S. citizen discovered he had been labeled a potential terrorist, a danger to the flying public. “In shock. Just like, I couldn’t understand how you can just be put on a list and for no reason, haven’t been contacted by the government,” he said. In August, Montano says his boss told him he was placed on the TSA’s no fly list and sent him home. Montano has traveled the world, to Paris, Barcelona, China, and he returned from overseas during the summer with no trouble. “In July I traveled and in August, I’m told I’m on the no fly list,” he said. NBC 6 contacted the airlines and American said it must follow the TSA’s rules, and that it was waiting to see if there was any change in their employee’s status. For six weeks, without success, Montano was on the computer trying to get the government to reverse his status when American cut his pay. 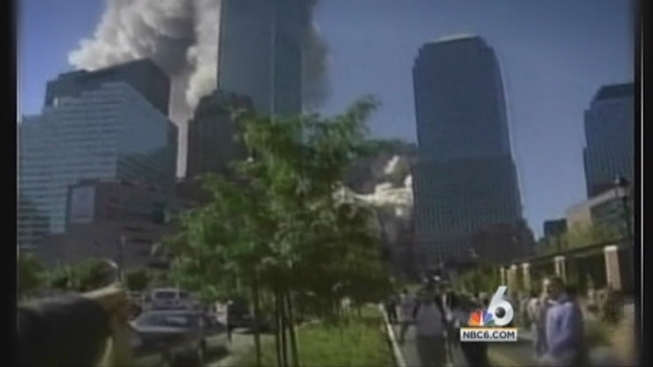 After Sept. 11, the no fly list was developed by Homeland Security to keep potential terrorists out of the skies. After Umar Farouk Abdulmutallab tried to ignite explosives in his underwear on a flight to Detroit, the government accounting office launched an investigation earlier this year. According to the Government Accounting Office, the number of U.S. citizens on the no fly list more than doubled after the alleged the underwear attack. Was it a case of mistaken identity? Maybe. But Montano says it’s hard to fight the inclusion because the Department of Homeland Security provides little information, even though it says less than one percent of those who complain have an actual connection to a terrorist. NBC 6 tried to find out what happened from the TSA and the Department of Homeland Security, but the government eventually said to ask the FBI, which said it doesn’t discuss the no fly list at all. “They say they are checking with agencies to see if it’s a mistake on their part,” Montano said. He spent weeks struggling to pay his bills and was told by American he could lose his job for good. Five days after NBC 6 contacted the government, Homeland Security sent a letter saying he's no longer a potential terrorist. They gave no answers in their letter. They just said they could neither confirm nor deny any information about him. Montano said he was still waiting to be cleared by the airlines' security department to return to work.